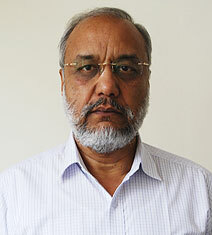 Dr. PPS Dhaliwal, has been appointed as Comptroller of University. He has 30 years of experience in the Field of Clinical Vety Medicine. Earlier to this, he had been the State Public Information Officer of GADVASU for Right to Information Act. Presently he is also working as Liaison Officer for the establishment of New Vety College & Hospital at Rampura Phul Distt. Bathinda. He did his graduation & post graduation from the Punjab Agricultural University, Ludhiana and joined as Assistant Professor in 1984.